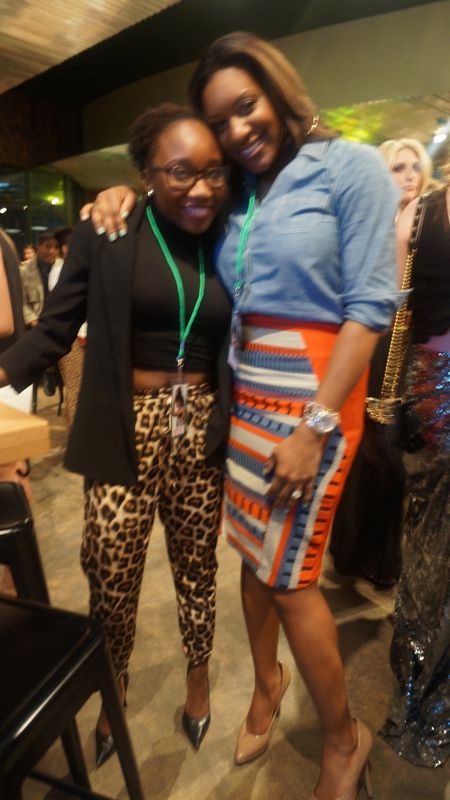 …to the Memphis Fashion Week VIP preview party (warning: picture heavy post). 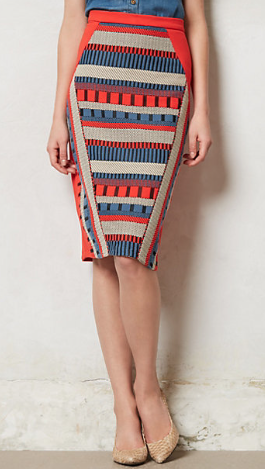 My style plan was to make a subtle statement with this Anthropologie skirt I ran across while browsing Pinterest a while ago. I had been absolutely DYING over it!! It finally went on sale and I stalked found it in Dallas, TX this past summer. 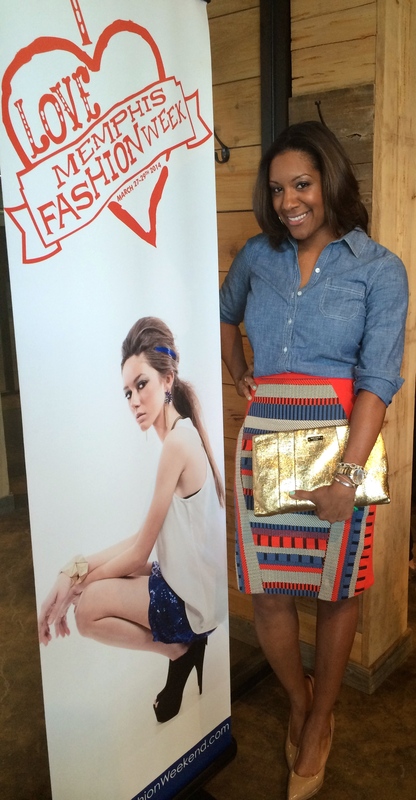 The Memphis Fashion Week preview party was the perfect reason to finally break it out. 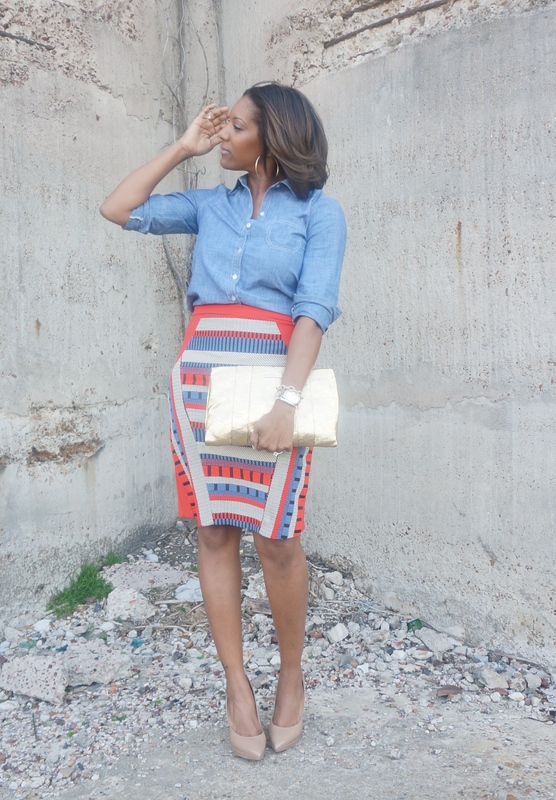 I paired it with a chambray shirt (like the model) for a slightly relaxed yet chic look. This skirt was very fitted and I had some serious bum insecurities, but I stepped out of my comfort zone with a full tuck. I played with neutral and black accessories to see which set packed the most punch. I settled on neutral and gold accessories so that my skirt could stand out and grab the attention. Simple gold hoops and a hammered gold ring completed the look and I was ready for the mixing and mingling fun with Memphis’ fashion community. 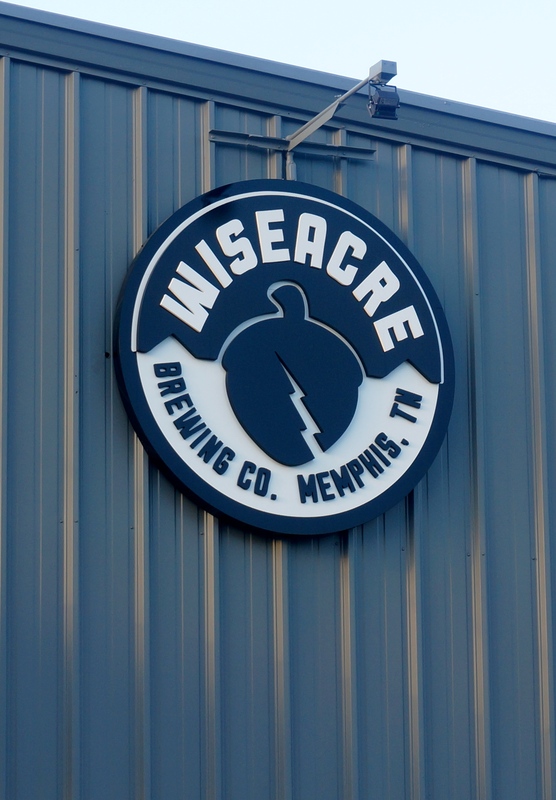 The preview party was held at Wiseacre brewery and gave VIP ticket holders the chance to meet the models, designers, and get a sneak peek of some of the fashions. 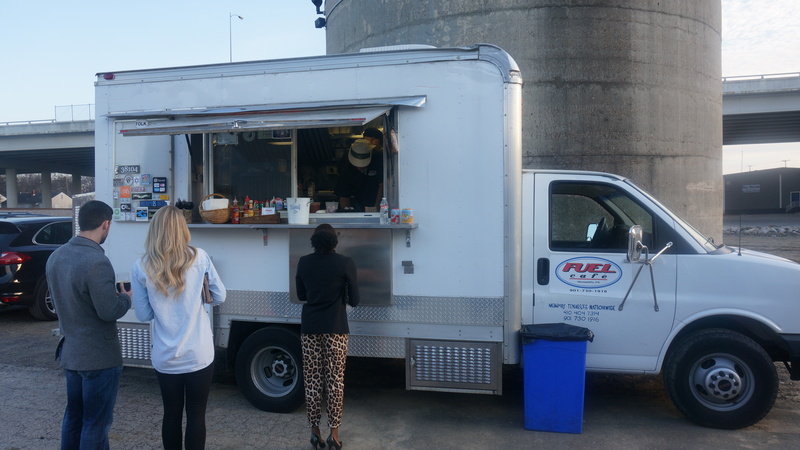 Organic tacos provided by Fuel Cafe’ were delish! 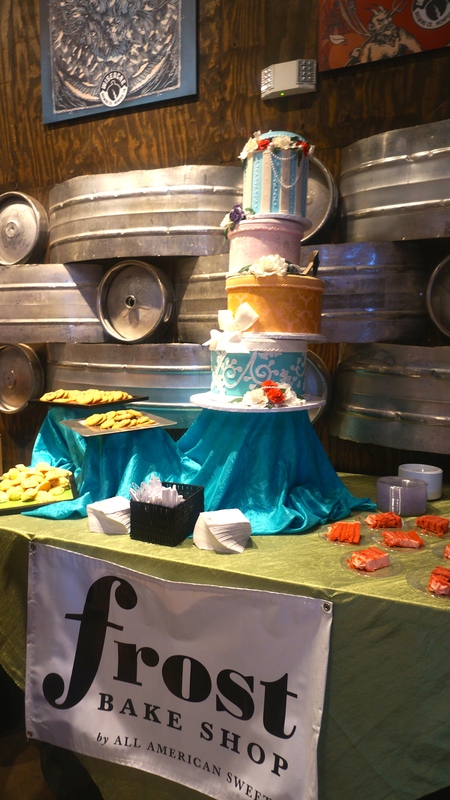 Desserts provided by Frost Bake Shop! The butter cookies were sinful and worth every minute of the T25 I’ll have to do to work them off!!!! One of the dresses to be seen at Saturday’s show. 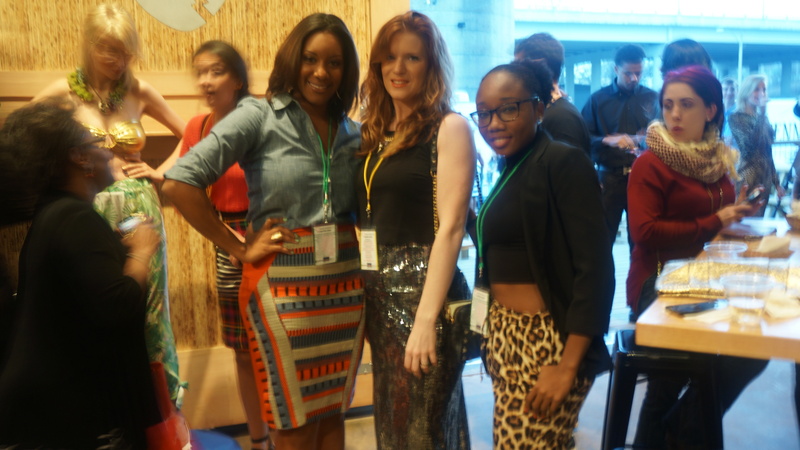 A snap of us with one of the emerging designers, Heidi. 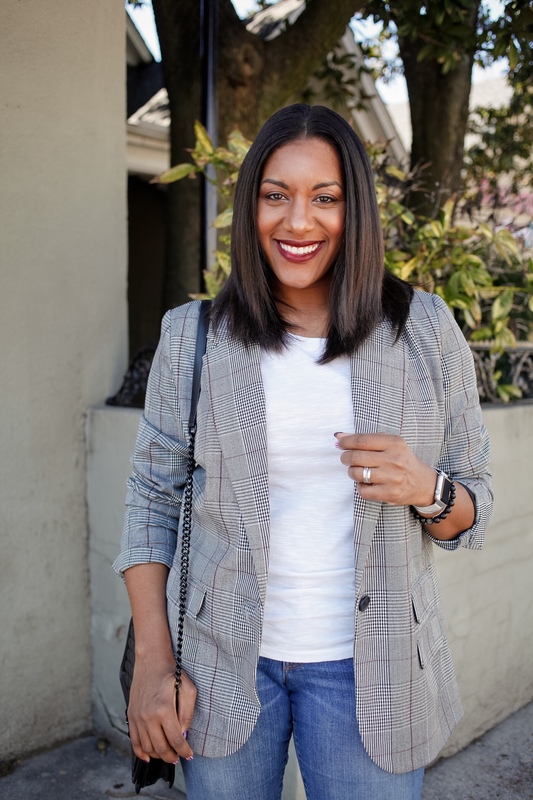 There were fun times had by all, and I said all of that to say…According to Q, a tribal print (or any print for that matter) can be stylishly taken up a notch with the closet MVP chambray shirt! Wear a full tuck, half tuck, whichever way you like, just have fun with it! 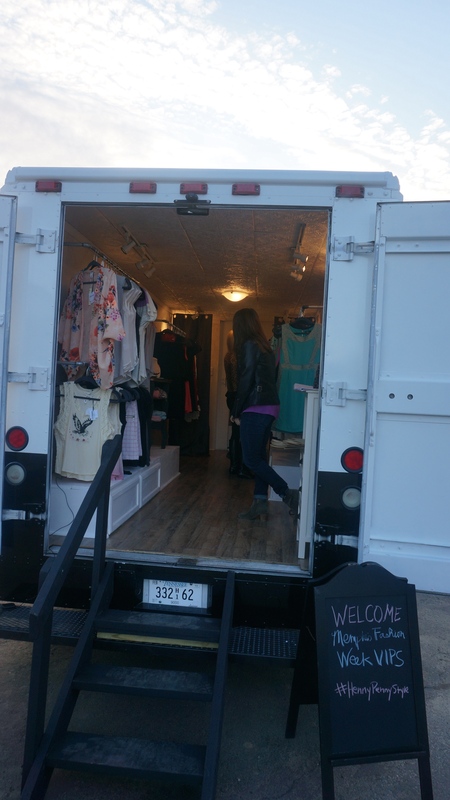 There are more Memphis Fashion Week activities lined up. Go here to find out more. 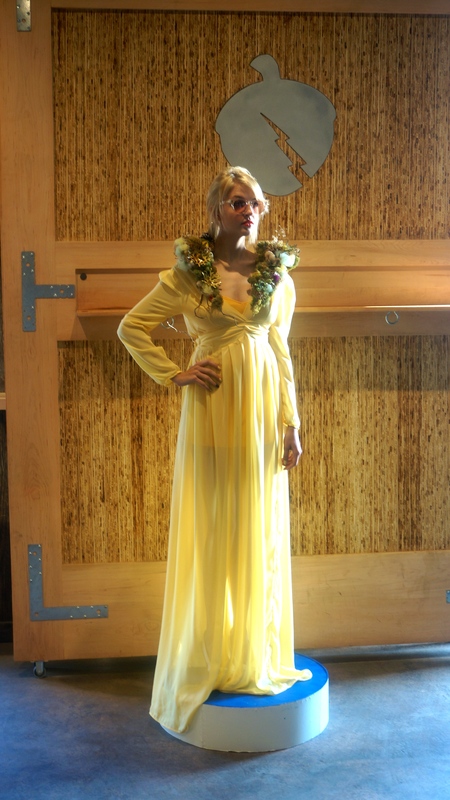 Look for a full Memphis Fashion week recap next week! Will I see you any events? 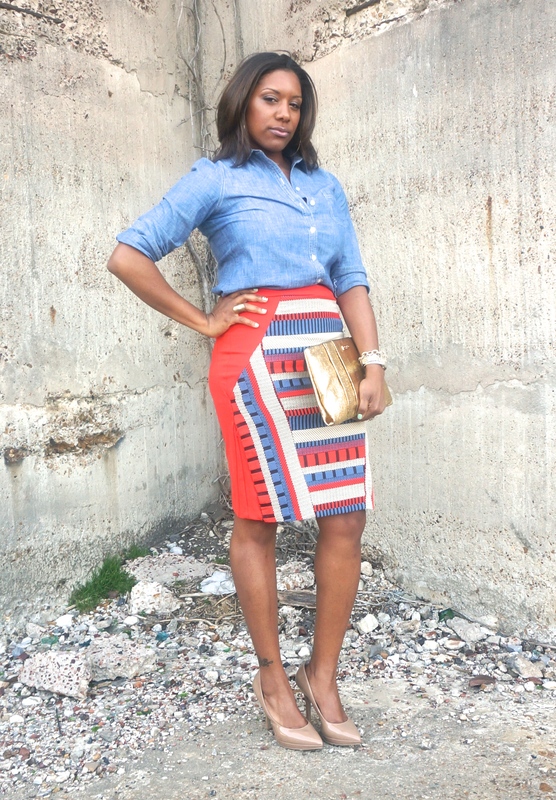 Previous Post Inaugural Outfit Post! So First, I love this blog. Second. I didn’t even realize Memphis had a fashion week! can you provide some details on the events etc. Last, I love the skirt and accessories. Thanks so much for stopping by and for compliments! Tonight, there is a fashion show at The Annesdale Mansion. I’m not sure if there are any tickets left, but you can go to http://www.memphisfashionweekend.com to find out and see the other events going on this weekend. Again, thank you.